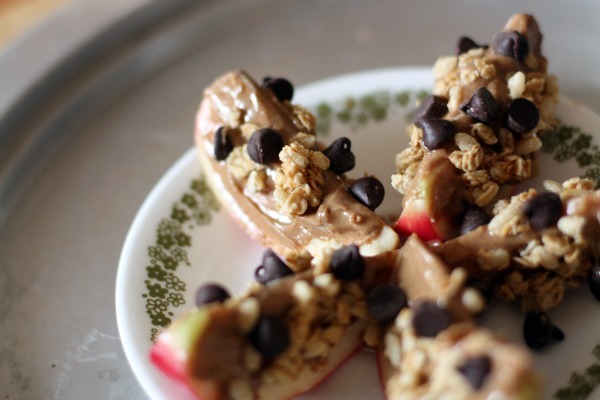 Just cause you make this for your kid doesn’t mean you won’t eat most of them. This has that killer combo. You know, that PB & chocolate combo that no one can turn down. The fact that these contain fruit, plus that killer combo I just mentioned makes you wanna eat more. Because it doesn’t count if it has fruit… right? I have something very simple, yet incredibly delicious for you today. 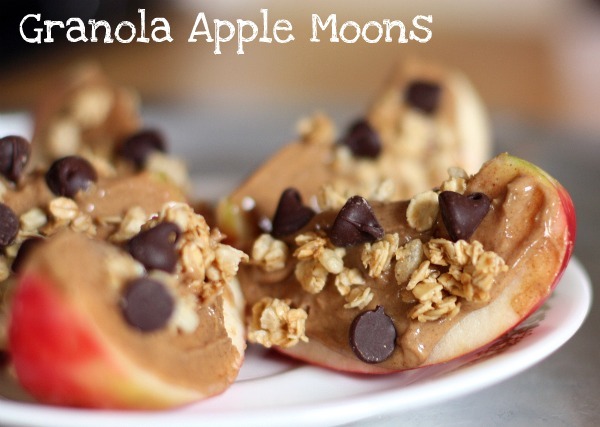 These Granola Apple Moons are the perfect snack for kids of all ages. I have to say ‘kids of all ages’ to justify eating most of them. I don’t think these are just a kiddie snack! I want some of these! They are healthy and SO cute too! Yum. 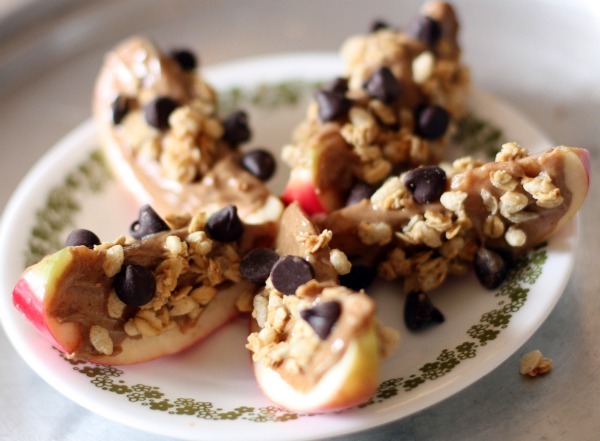 I feel like I can taste those apple slices just by looking at the pictures. Mmm.my mouth is watering! Um I would definitely eat these! 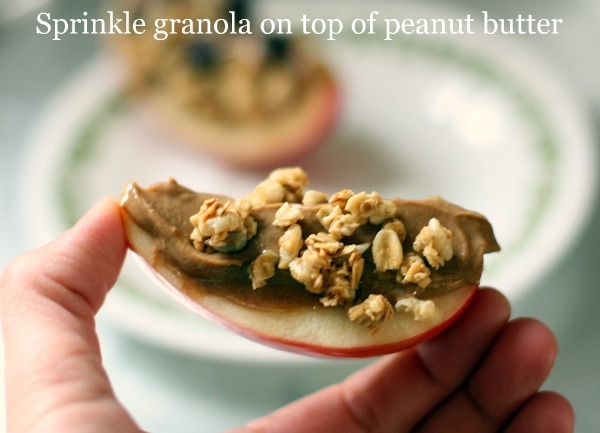 You are such a great model for making healthy, fun and delicious meals and snacks for kids! Your daughter better appreciate you when she grows up! As always, these look great. Also, is there anything that can top that Nutella soda? That creation was pure genius. What a perfect way to get my brother to eat apples!! I am totally sharing this with my parents! Definitely a killer combo! Jay was just standing behind me and he said “that looks so good”! I guess I will be doing this…that means I have to share apples! Now I know what I’m having for a snack when I finish work. Thanks. It depends on the day. Sometimes she eats the apple skins, sometimes she doesn’t. With this snack she normally eats the skins. Chocolate and Peanut Butter. God’s gift to the world, and to mothers! OMG this is like everything I love all in one! And ummm I don’t have kids but I’m kiiiinda thinking I want to make these! Oh, yummy!! 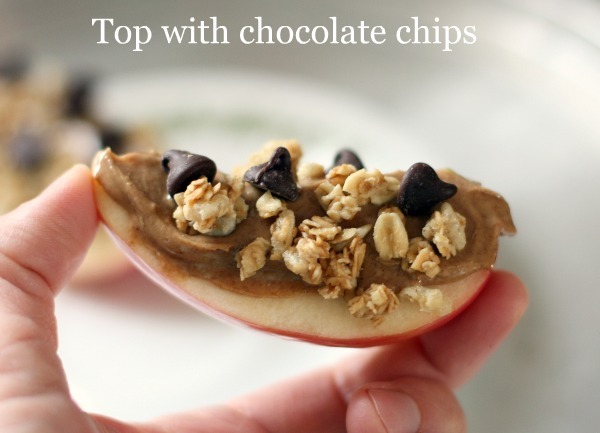 I’m totally making these and also trying it with Nutella spinkled with a little coconut! Yum! What a great topping idea! This is such a fun play on ants on a log. omg i have a prewritten post going out tomorrow..with kiddie snacks! 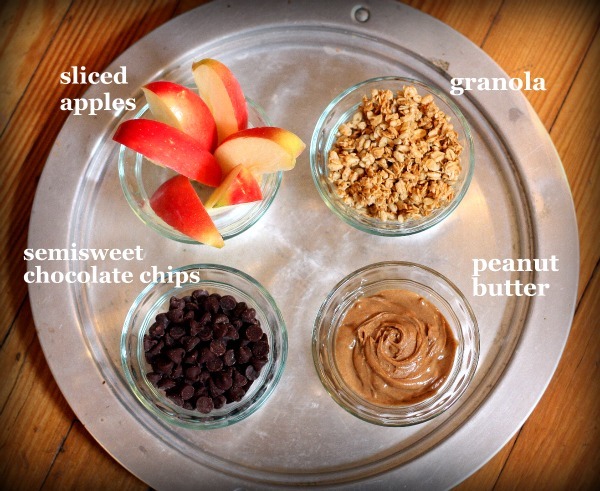 and one of them is a linkback to an older “recipe” of mine for apple crumble/granola! 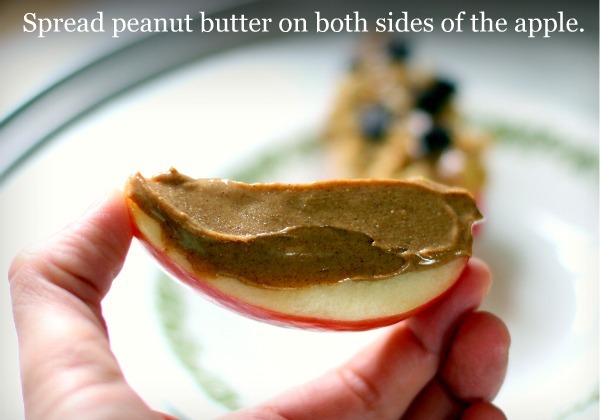 yours w/ the PB looks delish! I don’t have kids, but I would totally make this for myself! Gonna have to try that. Looks yummy!